If you are a vintage tool fan you might enjoy checking out my collection below. I should point out here that I do not "collect" vintage tools so to speak. I buy them to use because in most cases they are far better. Especially for the buck you spend. I love using vintage stuff mostly for the feel and sound. The fact that they often run quieter is a huge bonus in a live work studio like we have here. They are randomly listed below not necessarily in the order I found them. . I think it was about 2010 that I started phasing out all my new radioactive, carcinogenic plastic tools. It was one of the best things I did and cannot believe the difference it has made. Often it is not really the performance of the tool but the feel. Accountants, lawyers and robots just can't build tools the same. Not that it matters because not many people make things with tools anymore anyway. 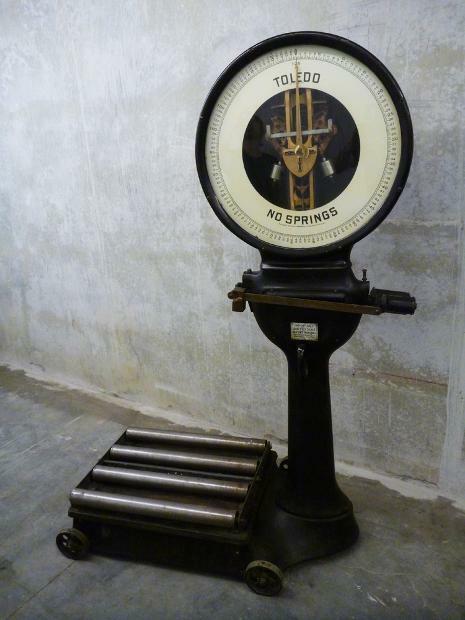 Even a lot of people who buy up these old tools rarely make anything. They just gather up the tools and restore them and stash them in their overcrowded shops. Of course there is absolutely nothing wrong with that as they are preserving a part of history in the process. Like I said above all my old tools I buy to use and pamper. I like the old original patina's if at all possible. A lot of people don't realize there are nuts out there who want these old beasts. Thus they heave them out when cleaning out their dads old shop or what have you. This is every old tool buffs nightmare. I have noticed these tools rarely actually sell for much money but the value is still there and have noticed that they are really starting to go up in price lately. Strangely most women don't know this but very few guys love their tools. What they love is buying them, strutting around tool shops comparing the size of their cordless drivers and drooling over the newer "larger and higher performance" drivers. (I swear cordless SCREW drivers are the most common item on craigslist under tools) Once they have used them a couple times they get tossed around, left in the rain, kicked and abused like no tomorrow. After all tools for most guys are just for doing work they hate so they can make the money they want in order to quit what they do and start living the life they always wanted. 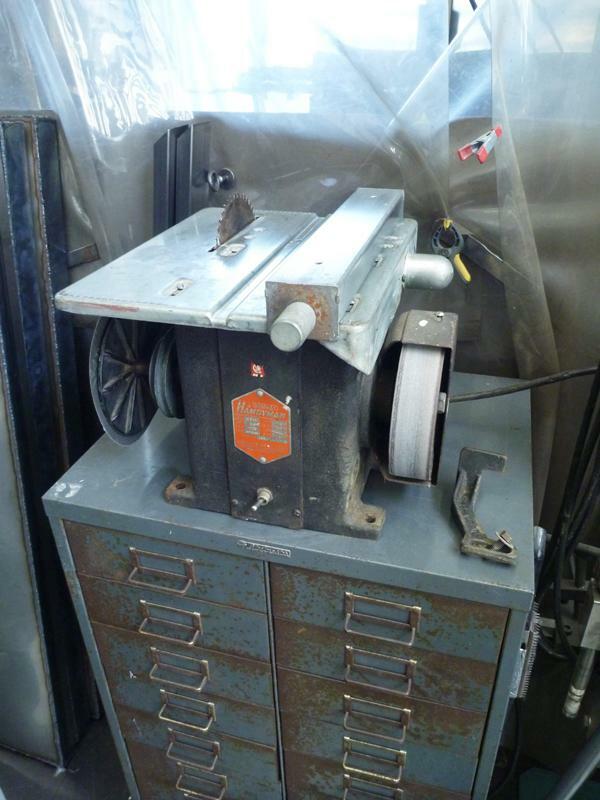 Anyway if you are in the Vancouver area and have some old vintage tools and other junk you want to get rid of let me know. Though I have pretty well run out of space I can give you some advice and in the worst case deal them off you if it means saving them. I have cash... or if you have taste as bad as mine I have art I could trade. Here is a weird barn find that I did not pick up in a barn but is sweet just the same. Not many table saw bench grinder, disc sander jointer combo tools out there! This one runs butter smooth. It's funny but I almost never go on craigs any more as I have most of the tools I am looking for but a quick look yesterday spots this gem. It had been up for hours and no one had took the bait. I can already tell this is going to be one of the handiest finger cutters I own. I am going to tweak a few things on it but obviously not the beautiful original un butchered finish and patina it has. I went online but could only find two other images of this tool. This pretty well tells me that the odds of finding the missing jointer parts are going to be zilch to none. Just the same it is going to work great for everything I am going to need it for here. If in the odd chance you do know more about this weird beast I would love to hear from you! The first day I got this sucker home and set up I got almost an hours non stop work out of it. The thing barely got warm! I took off the wire wheel it had on the bench grinder part and replaced it with my rubber expander wheel and trizac belt! Here is my last score. 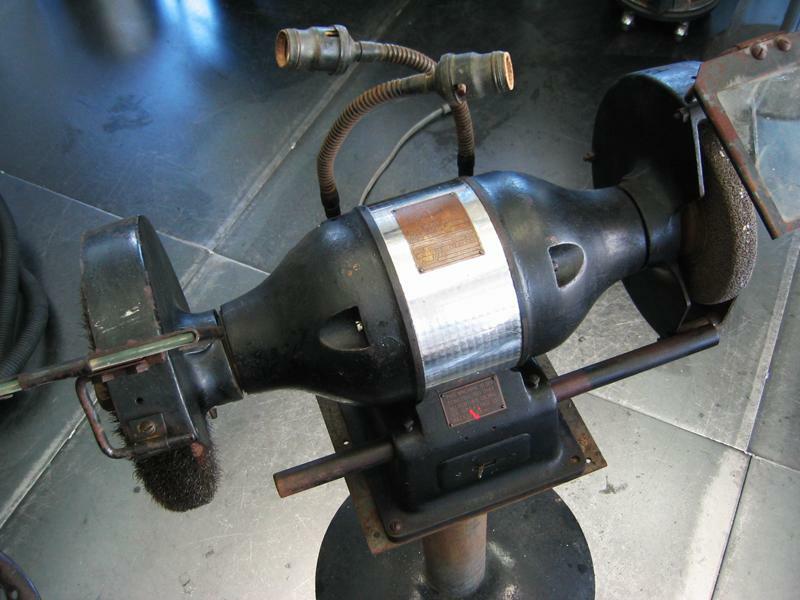 A vintage Lincoln Lincwelder AC180K. A real beauty to say the least. A big thanks to Del for this one since he accepted my starving artists offer. They just don't makem like this anymore.... laws and safety reasons. It even has a six volt battery charger hookup on the front!! This would date it prior to 1955 I would say but not sure. That was about the last year for six volt batteries as the number one battery choice. I did pick up one previous to this but was not in quite as nice a shape as this one. Plus I had doubts the previous worked as the back had been removed and the screws were not put back in. Not to mention the plug in had been removed. Anyway I did a little bit of clean up on this one and sparkeder up for a test run. Not too bad for something that old. I admit I don't use stick much but good to have for those times I just want to make some good ole smoke and sparks. 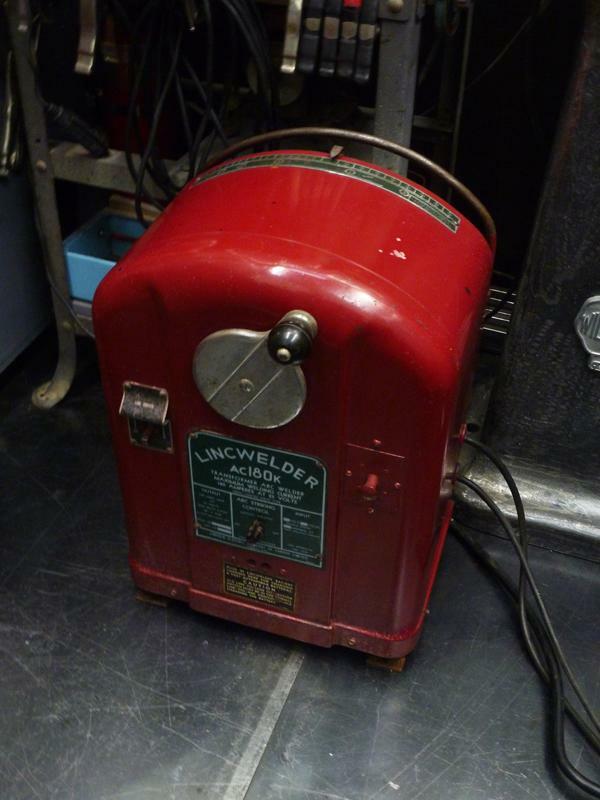 I have noticed that finding vintage welders in good shape is a bit of a challenge. If an old timer still has it then it could be in good shape but often by now they were handed off to their heathen sons, who hated tools and other things that led to work thus they beat the hell right out of them. I have found the older to tools owner is the better shape it is in. At least most times anyway. This is mostly because way back then they respected the tools they had for a couple of reasons. First not everyone had good tools since they were so expensive. Anyone who did have them looked after them. Plus the tools themselves were made by companies with more pride than profits in mind. 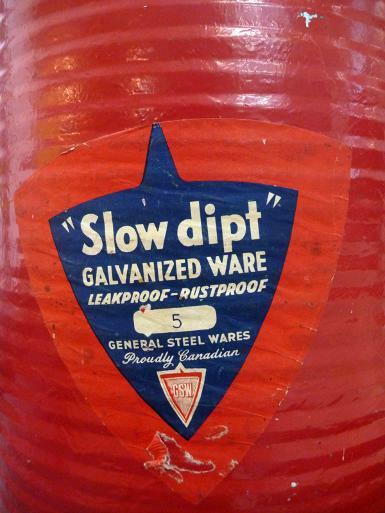 Unlike the throw away tools of today. The the owner of this one was not that old he did have common sense and thus it was still in fine shape. 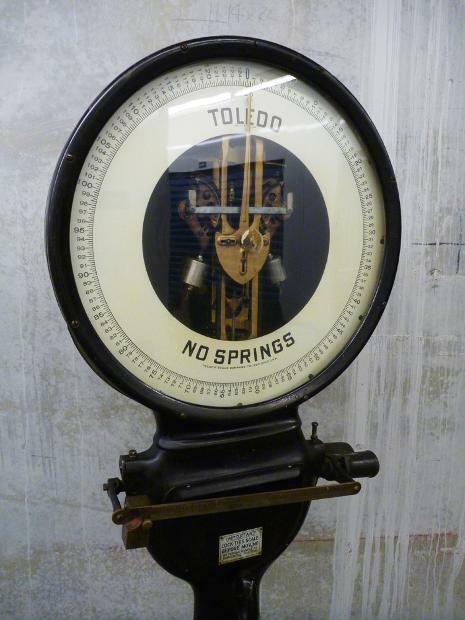 Here is an antique Toledo scale we have but don't have for sale. We are willing to rent it though. It works just like the day it was new. Last patent date on it is 1917. Now even though we don't actually have it for sale if you wanted to email me a crazy high ball offer I may consider it and get back to you. Here is a antique pine trunk that is a bit of a gem in its own right. Dovetail joints and in pretty good shape overall. Does have some damage on one hinge that would need some creative repair. $350. 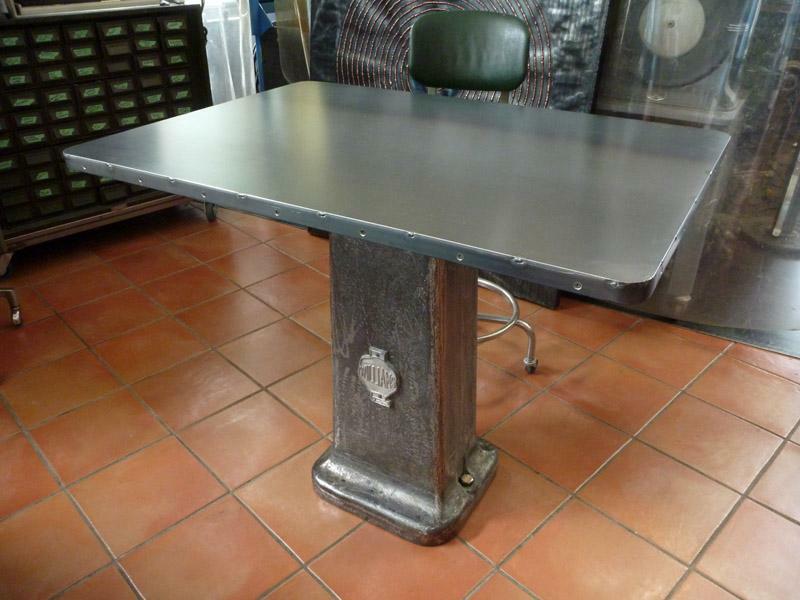 Here is a heavy steel table or desk. The base is off a vintage industrial grinder. This is a very heavy table. If you like stuff that will last for eons then this is it. The table top is about 30" by 42.5". The height is 34.5". Here is a steel table and four chairs. The base is a vintage cast iron piece. The top is 10 gauge plate steel. The table slides on the tile floor very easily. I can kneel on the edge of the table with all my weight and it will not tip up. The chairs will never wear out period. The chair wheels will handle 150 lbs each. I have often used these chairs as dollies to move very heavy stuff. The wheel bearings can be rebuild when required in about sixty years. This table is built way lower than most. The chairs skate around on the tile with the slightest of effort thanks to the good wheels. This set is signed, dated and documented by me on my website: www.flamingsteel.com Would be perfect for a studio loft with an industrial bent. $12,500. 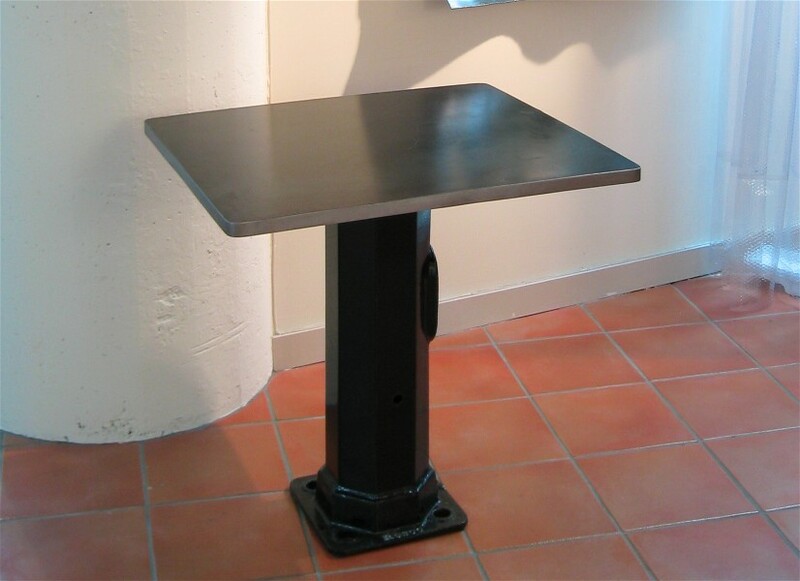 Here is a bistro table I made to use here in our studio that we never had room for. The base is a vintage street light post. The top is plate steel on board. Very heavy. $1,850. 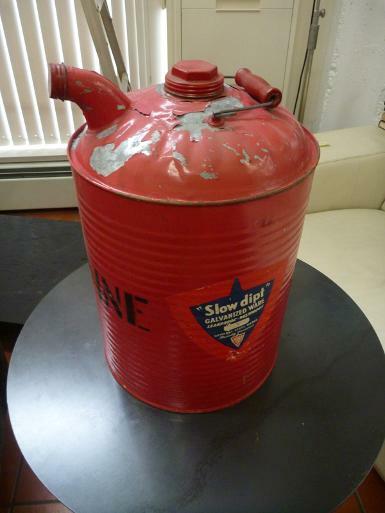 Vintage galvanized gas can. Complete with original label. Like new condition. A rare to find gem in this kind of shape. $65.